of supporting the community and its institutions. Glasco Community Foundation is working toward the goal of establishing a National US Highway 24 Museum. A long range goal, the first step is the preserving and reconfiguring three historic buildings located in the Historic Downtown District of Glasco. Glasco Community Foundation gained ‘Partnership Historic Site’ status for the three buildings in a program created by the Kansas Legislature in 2008. 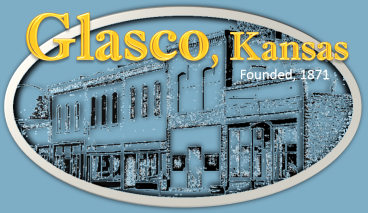 The Kansas State Historical Society named Glasco as one of the first designated sites. The four defining criteria for eligibility were: 1) The district is listed on the National Register of Historic Places; 2) The GCF is an IRS certified 501 (c) 3 non-profit; 3) The goal is to operate a National Highway 24 Museum that will be open 500 hours annually; and 4) The purpose is to educate the public about this aspect of Kansas and U. S. history. Glasco’s Partnership Historic Site was eligible for the Partnership Historic Sites Tax Credit Program. Kansas State tax credits were available for contributions to the Glasco Community Foundation for this project. Work is actually underway on one of the buildings in the Partnership Site. This first concrete step is only the beginning of what promises to be a significant undertaking for Glasco and all U.S. Highway 24 communities.